Hyundai Tucson 2.0 Dual VTVT 2WD AT GLS SteeringTilt and Telescopic, Leather Steering Wheel, Motor Driven Power Steering. Hyundai Tucson 2.0 Dual VTVT 2WD AT GLS Brake SystemABS With EBD, Front and Rear :- Disc, Downhill Brake Control (DBC), Brake Assist, Electric Parking Brake. 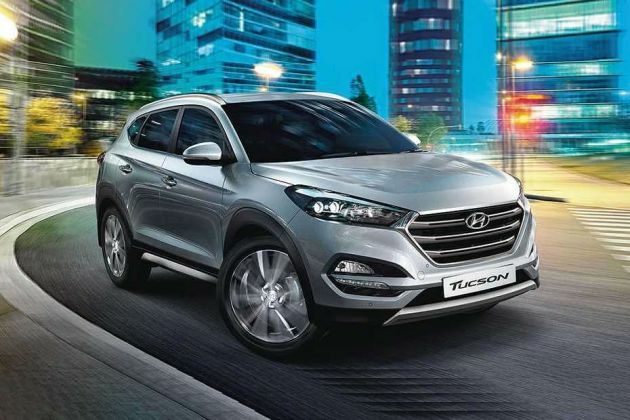 Hyundai Tucson is available in 4 different colours - Star Dust, Typhoon Silver, Phantom Black, Polar White.